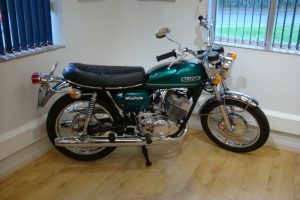 This is a carburetor from our own project bike a Suzuki T 250 1972 we purchase to restore and show in our factory. 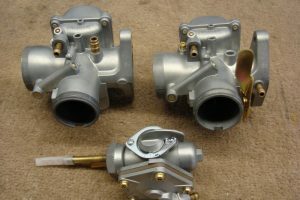 In this particular case we stripped the carburetors to refinish the bodies by vapour blasting and re-zinc the fittings. 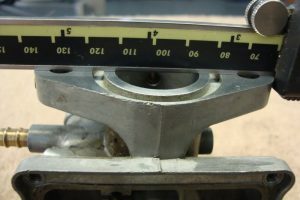 In the process we found the flanges to be distorted and re-machined them flat again. 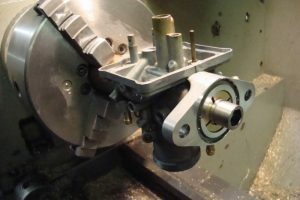 Distorted Mukuni carburetor is put onto a mandrel on a centre lathe and faced square to remove the distortion. 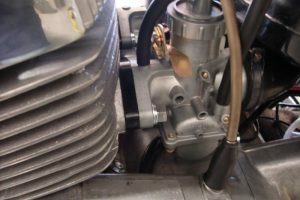 The carburetor is checked to make sure all the distortion is removed. The carburetor is vapour blasted, ultrasonically cleaned and re-assembled with the newly zinc plated parts. 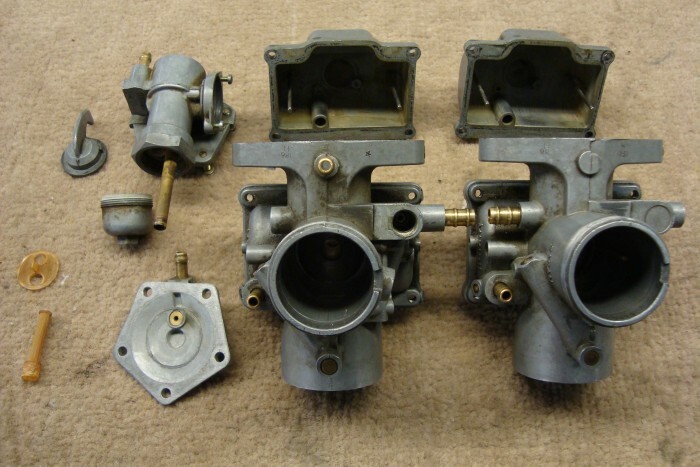 Finally the finished carburetors are fitted to the Suzuki. 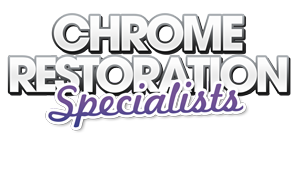 These parts were restored as part of a nut and bolt restoration on our own 1971 Suzuki T 250 which is now on display in our office.